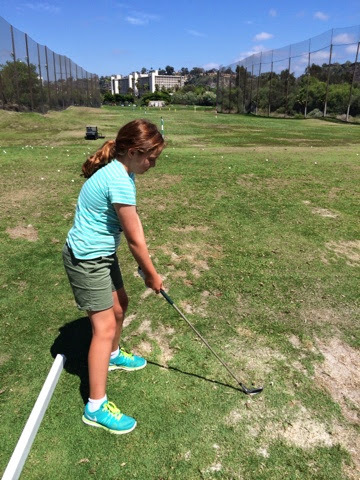 After we watched the last few holes of the British Open this morning, Emma had the idea to head to the driving range again. Sadie and Avery lost enthusiasm for the idea by the afternoon, so it was just me and Emma. She's a no-nonsense golfer, this girl. See the ball, hit the ball. She even got a fancy new glove. 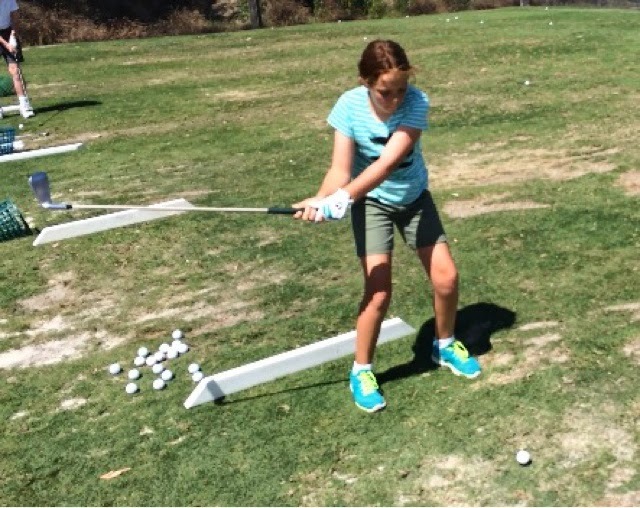 Hit the sweet spot, Emma! !